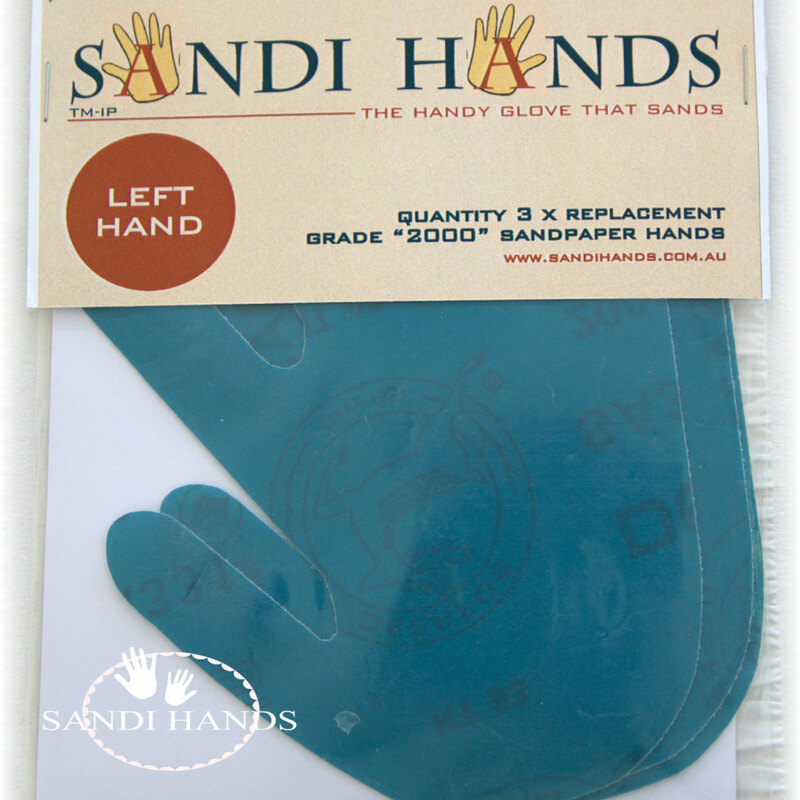 Sandi Hands cotton glove for women. white cotton glove with 2 replacement grits in 80 & 120. 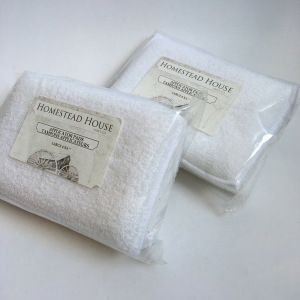 A pack of replacement grits. 80, 120, 240, 320, 400, 1000, 2000. Each pack contains 3 grits. This product is a complete game changer . 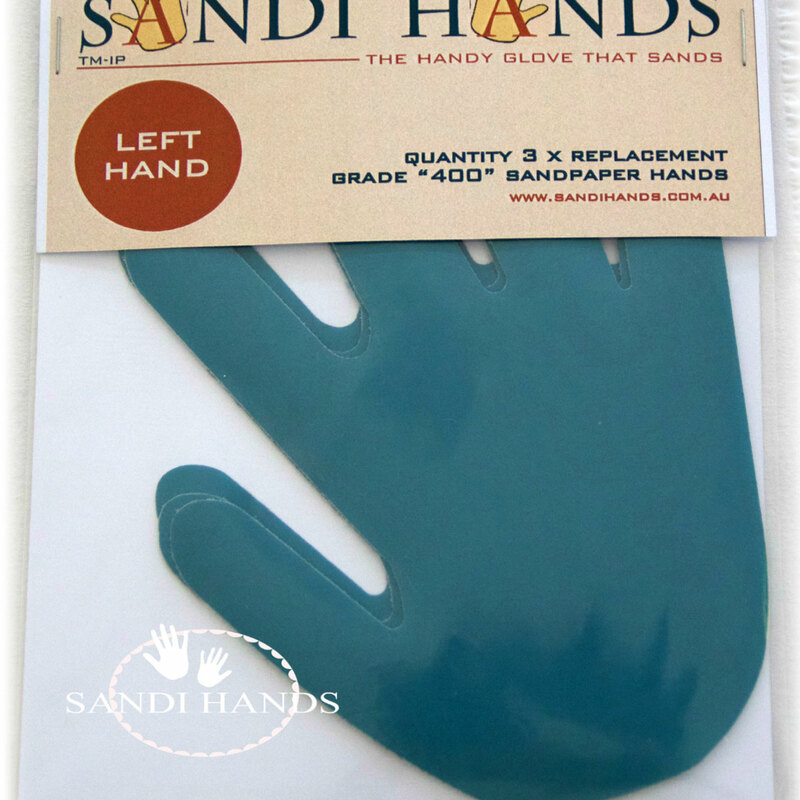 Keeps you hands dust free . Easy to sand hard to reach places and fine details. Sanding a table leg takes seconds. Makes prep work a breeze. 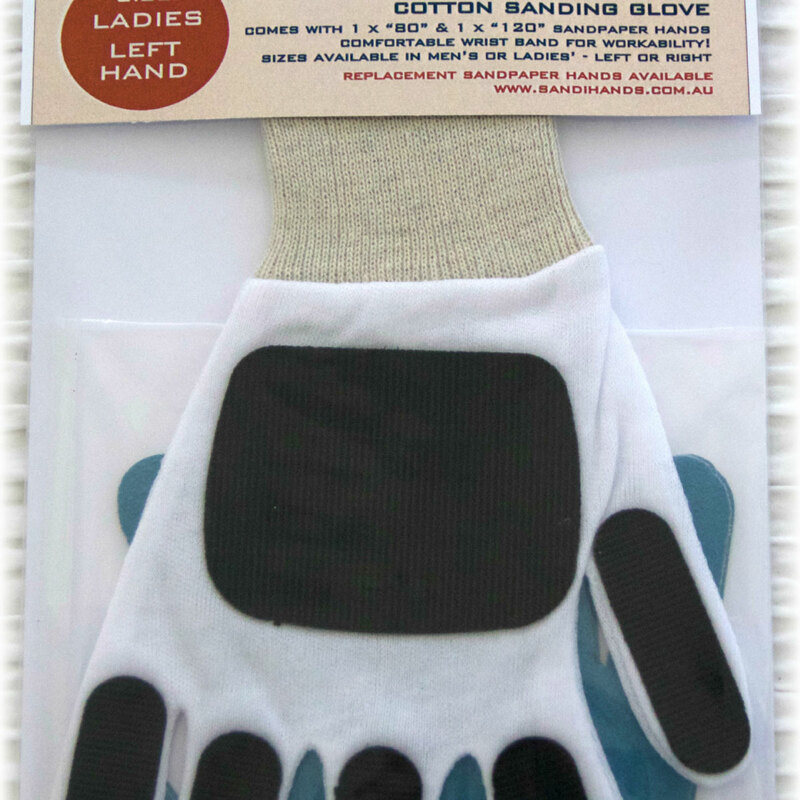 No more slipping from your hand. More protection, more comfort, more flexibility for intricate work. 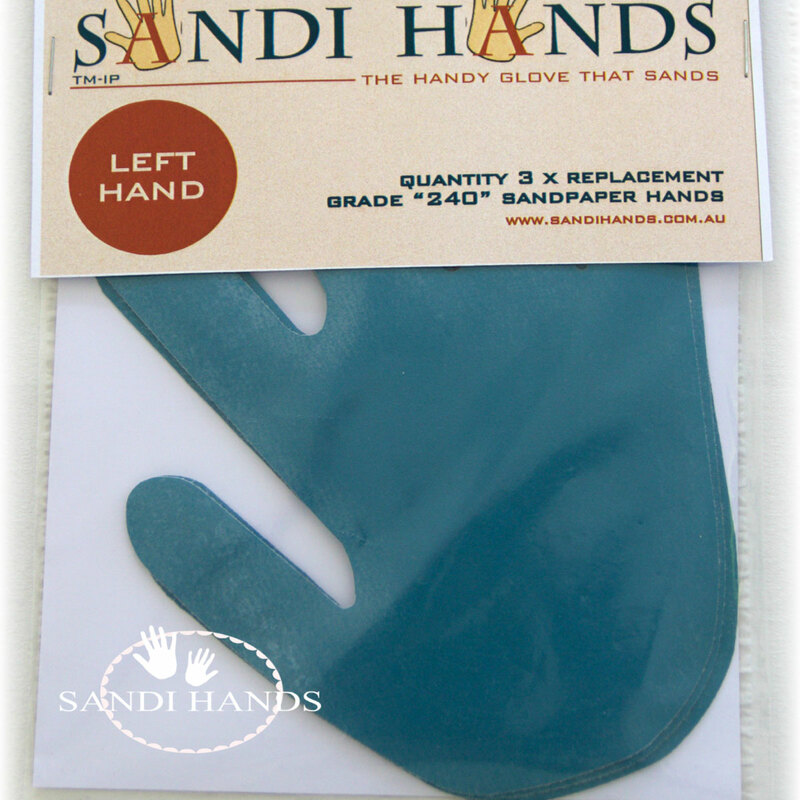 All wet and dry sandpaper , just wash and reuse for longer life .